BigBeam offers a wide beam for large coverage and hands free inspection. You can inspect several parts at the same time without interruption. You can mount the BigBeam in several ways. Either with a mounting bracket on the wall or ceiling, or a friction arm to mount from a table or floor. Installation: Handheld or fixed installation using a mounting yoke or a friction arm. Regardless of what cleaning methods you use to clean your machined plastic or metal parts from contamination, you need to validate that the part is clean. If inspecting the cleaned parts with Ultra Violet light, you will detect contamination that is not possible to see with the human eye. 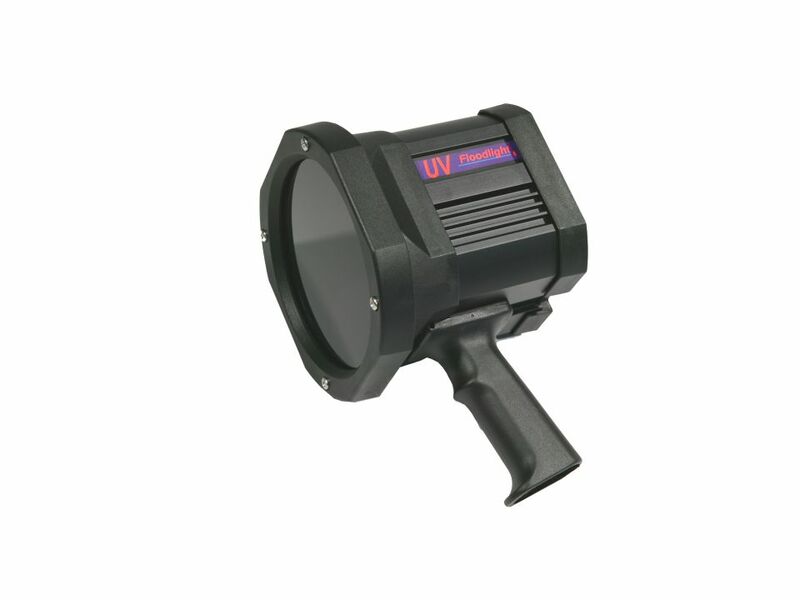 By adding UV inspection to your quality process you ensure that clean parts are delivered to your customer. Products sensitive to contamination must be assembled in a certified clean room or in a clean environment. It is of utter importance that the parts are clean prior to entering the assembly. Illuminating the parts with Ultra Violet light prior to entering the clean room decreases the risk of contamination. If your assembly process doesn’t include the use of a classified clean room, a Cross Flow cabinet could be very efficient. The cabinet keeps the air clean and the assembly process secured. However, the parts need to be clean when entering the cabinet. By inspecting the parts with Ultra Violet light inside the cabinet you ensure that the parts are clean prior to being assembled. Most often the parts are inspected using white light, ultra violet light can detect particles almost half the size.